The roots of Self-efficacy lie in the work of Canadian social psychologist Albert Bandura and his social-cognitive theory of behaviour. Bandura defines self-efficacy as ‘beliefs in one’s capabilities to organise and execute the causes of action required to produce given attainment’ (Bandura, 1977). Originally applied to clinical settings, interest in self-efficacy has spread to other areas, most notably, education. This sub-category of self-efficacy (often referred to as Academic Self-efficacy, or ASE) refers to the belief a student has in her or his own ability to successfully complete the task set and to achieve the goals the student has set for themselves. It differs from other self-components because it is task specific, unlike, say, academic self-concept that encompasses an entire subject area. In academic buoyancy research, self-efficacy is represented by the first of the 5 C’s (Confidence) and plays a major role in the students’ ability to cope with setbacks and to bounce back from minor, yet subjectively significant, daily academic related problems. Studies have consistently found that ASE correlates positively with academic achievement. For example, a meta-analysis carried out by Richardson and colleagues in 2011, found the ASE beliefs account for up to 9 percent of the variance in overall grade point average in university students. Research also indicates that those students high in ASE are more likely to participate in lessons, work harder, persist longer when confronted with a difficult task and have fewer adverse emotional reactions when they encounter difficulties (a quality also found in students with high academic buoyancy). Students with high ASE beliefs are more willing to undertake increasingly challenging tasks, a key characteristic of a mastery-goal orientation. ASE beliefs, therefore, predict both effort and persistence. High ASE beliefs have been found to decrease stress, anxiety and depression. Many of the studies rely on correlations. These establish a relationship between two or more variables but can’t always identify causation (for example, ASE caused students to obtain higher GPA’s). Nevertheless, the consistency of these studies over time increases the chances of a causal relationship. There is always the possibility of sampling bias. ASE research investigates ability on specific tasks (e.g. algebra, geometry, reading comprehension) often using student samples. It could be argued that such samples are unrepresentative. The belief in our ability to achieve learning objectives in the present is influenced by our experience of achieving them in the past. This certainly makes sense. This would, of course, mean that failure in the past is going to impact beliefs in the future. This is why many children who struggle with a particular subject or task never really become confident in their abilities to succeed. The early years are, therefore, vital to building future success. By the age of around six, children are already comparing themselves to others, albeit in a very rudimentary way. By the time children are around nine years old, they are able to recognise the more able children in the class and place themselves into a simplistic ability hierarchy. These beliefs are more pronounced in schools where children are placed in groups based on their perceived ability. These children are building their academic self-concept from the ground up, and placing themselves in higher or lower categories based on the perceived achievement of others. Teachers will have a role in building both academic self-concept and self-efficacy beliefs, internalised perceptions of how well the child is equipped to deal with specific tasks. The way in which teachers explain or praise success and failure can increase and diminish self-efficacy beliefs. Even with young children, feedback that makes it clear how the child can progress is not only vital to ASE, but also to feelings of control (one of the 5 C’s of academic buoyancy). Perhaps the most obvious emotion in anxiety but we can also include other emotional states such as boredom and curiosity. If levels of curiosity are high then ASE will increase; if the child associates a particular learning episode as boring, motivation can fall along with ASE. I’ve discussed the role of emotions in learning in depth elsewhere (Smith, 2017; Smith and Firth, 2018). Personality is perhaps a more problematic source of ASE than those discussed above. Personality traits have been found to have a mediating influence, most notably conscientiousness and emotional stability (two of the Big 5 traits). Previous research has identified a number of goal orientations. Students who adopt a mastery goal orientation engage in tasks with the desire to master them. Mastery goal learners are more likely to persists for longer and choose activities that challenge. On the other hand, students displaying a performance goal orientation concern themselves with appearing intelligent in front of their peers. They tend to avoid failure by avoiding challenge and, while enthusiastic when tasks are easy, abandon them quickly when they become more challenging. A mastery goal orientation has been found to play a mediating role in ASE, that is when ASE encourages a mastery goal orientation, levels of achievement rise. However, this relationship might be reciprocal in nature. How Can Teachers Increase Levels of Self-efficacy? In order to raise students level of self-efficacy, we need to examine those things that help raise the level of ASE. This isn’t something that can be achieved with some kind of intervention that ‘teaches’ young people to have higher levels of ASE, but rather requires embedding within the culture of the classroom or (even better) the whole school. Positive learning experiences lead to long-term academic benefits. Indeed, enjoyment of school has been identified as a major component of both academic buoyancy and academic outcomes. Children who enjoy school, therefore, appear to do better than those who don’t find the experience enjoyable. School doesn’t have to be fun (although it can be), but the more positive experiences we accrue, the more likely we are to work harder for longer and build more positive relationships with those around us. Positive experiences can arise in multiple ways and early years teachers are the best placed to ensure that children develop the psychological skills to thrive throughout their academic life. Secondary school teachers might have a harder time, but year 7 can often represent a new start for many children whose earlier school experiences were less positive. 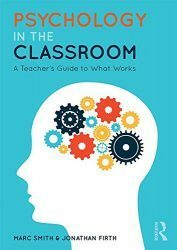 By promoting autonomy supportive practices and emotionally aware classrooms, teachers also help to support positive learning classrooms. A mastery goal orientation places the emphasis on personal goals rather than peer comparisons. This is opposed to a performance goal orientation that encourages learners to avoid failure by choosing less demanding tasks, giving up earlier and employing self-handicapping strategies such as defensive pessimism. While performance orientated learners attempt to safeguard their self-esteem by devising ways to prevent them looking unintelligent, mastery goal orientated learners see failure as a chance to improve due to the confidence they have in their ability to bounce back. Teachers can help to nurture a mastery goal orientation by playing down comparisons between students and promoting the use of self-references goals, such as Personal Best Goals This not only has the benefit of nurturing a more buoyant student, but also one that is more intrinsically motivated. Breaking Down Tasks and Goals. ASE is partly the result of past educational experiences, so teachers can help by ensuring that tasks and goals don’t overwhelm. Setting realistic and manageable goals is essential in order to foster positive experience; if goals are seen as too challenging, students will become disheartened and anxious, if they aren’t challenging enough, they will become bored and despondent. Individual tasks can also be broken down into manageable stages, similar to those used for solving complex problems in mathematics. Avoid leaving students with large tasks to complete by themselves, rather, break the task down, clarify errors and misconceptions, offer verbal feedback and then, move on. Feedback can be highly effective if used carefully and related to learning goals. While formal, written feedback is desirable, most of the time teachers are engaging in informal verbal feedback. Identify and clarify errors early; if left for too long they will be consolidated into long-term memory and become much more difficult to unlearn. Point to areas that require improvement and give details advice on how this can be achieved. Incorporate this into Personal Best goals if appropriate (see the resources section for appropriate tools). Praise should be used strategically and teachers need to resist the temptation to use praise as a way of making students feel better about themselves. This might sound harsh, but studies have consistently found that praising to raise self-esteem encourages a performance goal orientation, negatively impacting both educational outcomes and self-concept.